I was hesitant to start another project, but it seems like the more projects I have going on, the more productive I am. So I joined in the hexagon quilt-along, taught by Jaybird Quilts and being photographed over at the Old Red Barn Flickr pool. 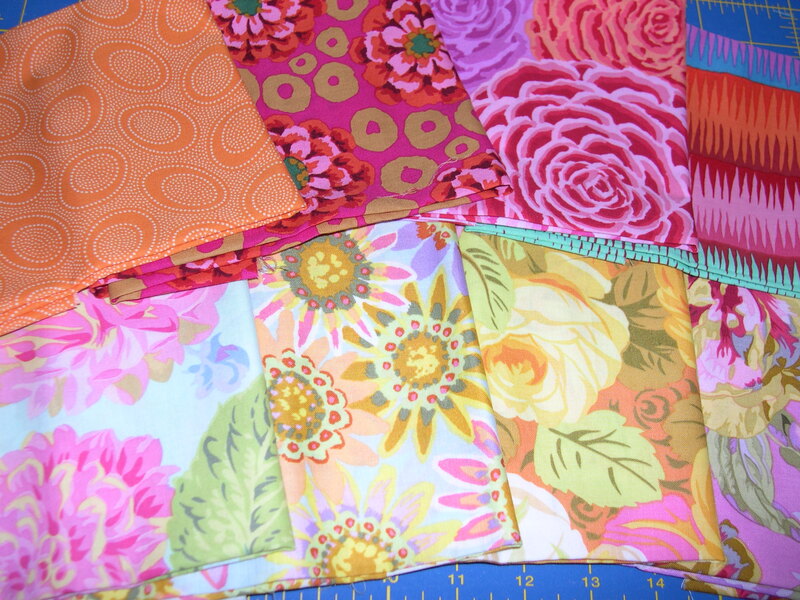 I am having a ball watching everything in the gardens come back to life this Spring, so I put together a selection of new Kaffe fabrics I found at the local quilt shop, and some Love fabrics I had in my stash. 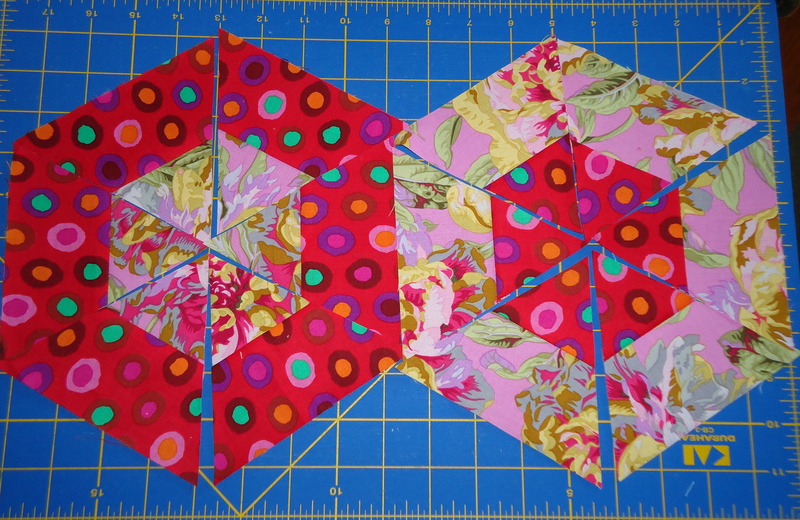 I think it’s magical when you go from 2/5″ fabric strips to triangles to hexagons. I am really loving this particular quilt-along because I love how you can rearrange these triangles into different layouts for a different look. Can’t wait for the next step! Wowzah! Two hexagons; BIG impact. Love the mix of Kaffe and AB Love! NICE! This is going to be beautiful! Are there going to be set in seams? These are lovely! It’s going to be a great quilt! Oh those are awesome! Love your fabrics. You’re right, going from strips to triangles to hexagons is really cool! Can’t wait to see the rest! Love these Terri…your choice of fabrics is wonderful! they look great!! i’m glad you decided to join in!! They look great. 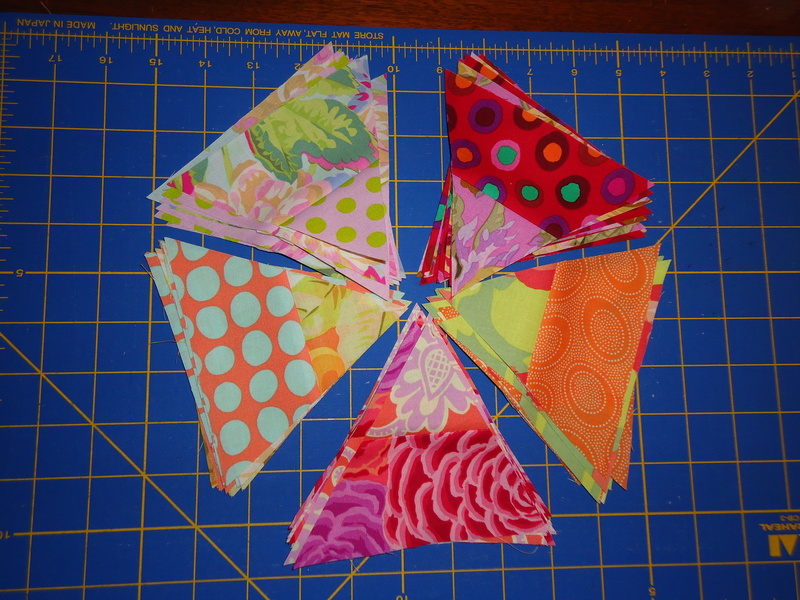 The fabrics are so bright and look good together. I haven’t tried to make hexagons, they look a bit little more challenging. I love this pattern! Your fabric choices are great. I’m still tempted to jump in on this one. 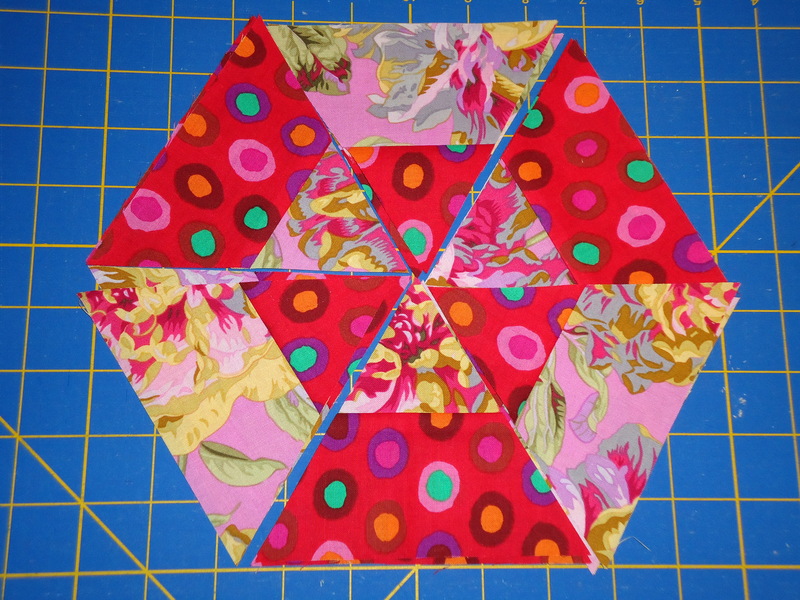 Love love your Kaffe fabrics and hexagon blocks.. Makes me want to join in on the hexagon quilt along. I recently bought the Kaffe book with the pattern and plan to make it. Brave, brave soul. Hexagons seem so complex! I realize they are not, but you have to be patient. I love the bright, happiness in the colors, just stunning! Wow, these are gorgeous hexes. I wish I had your quilting precision skills. The math of it always muddles my head. A whole quilt of these would be simply stunning.